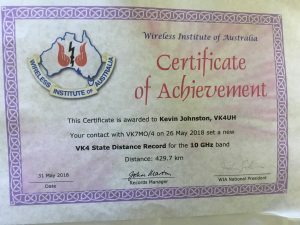 10 GHz Record. 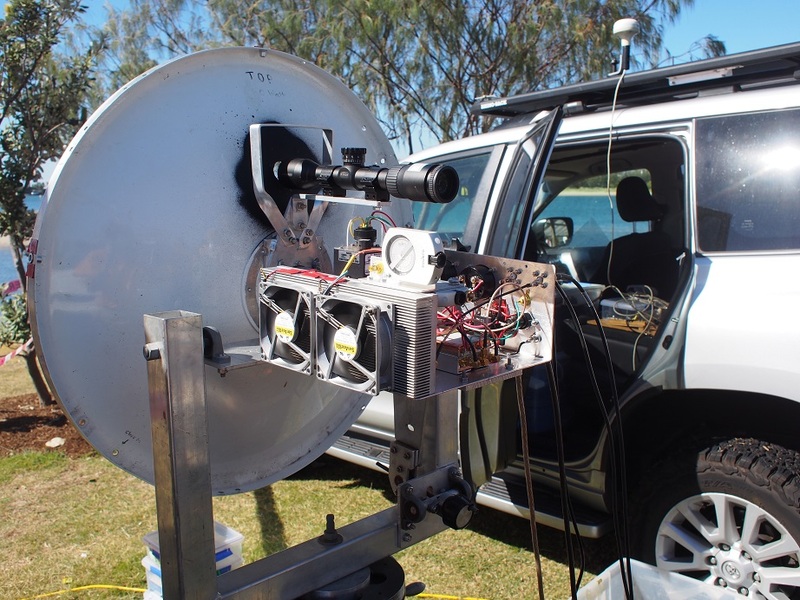 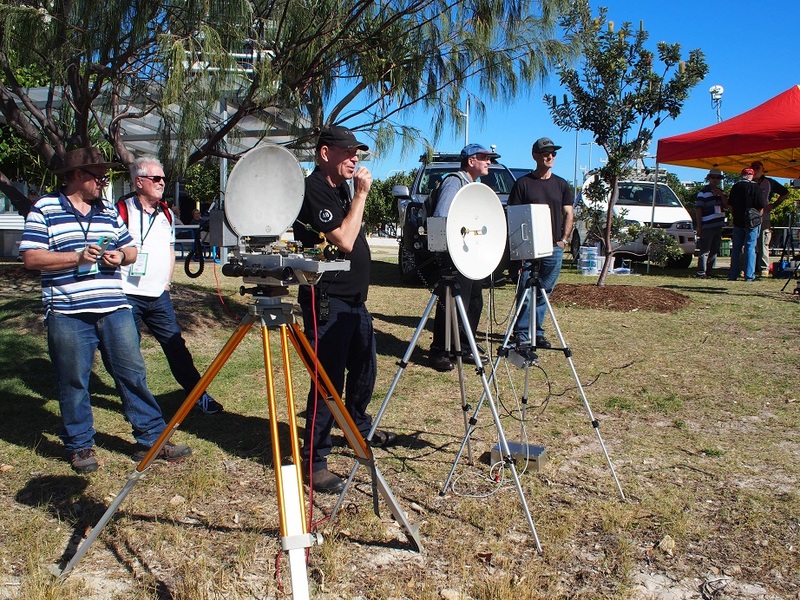 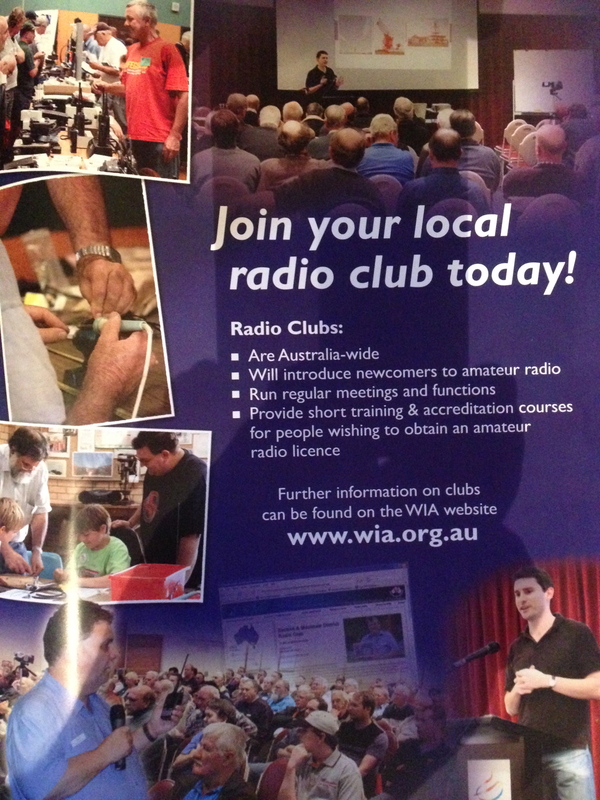 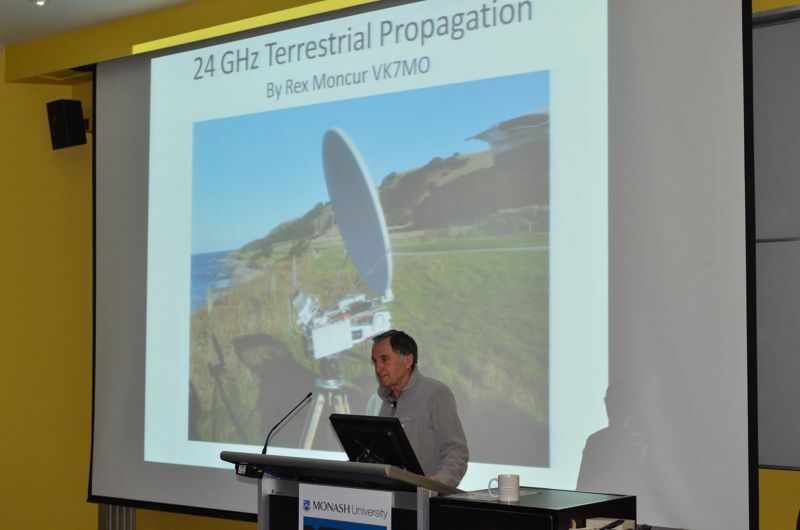 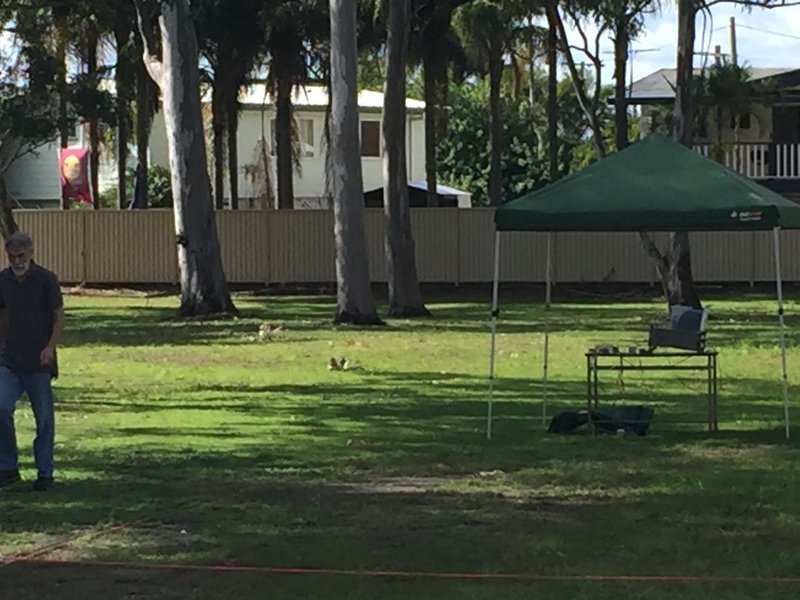 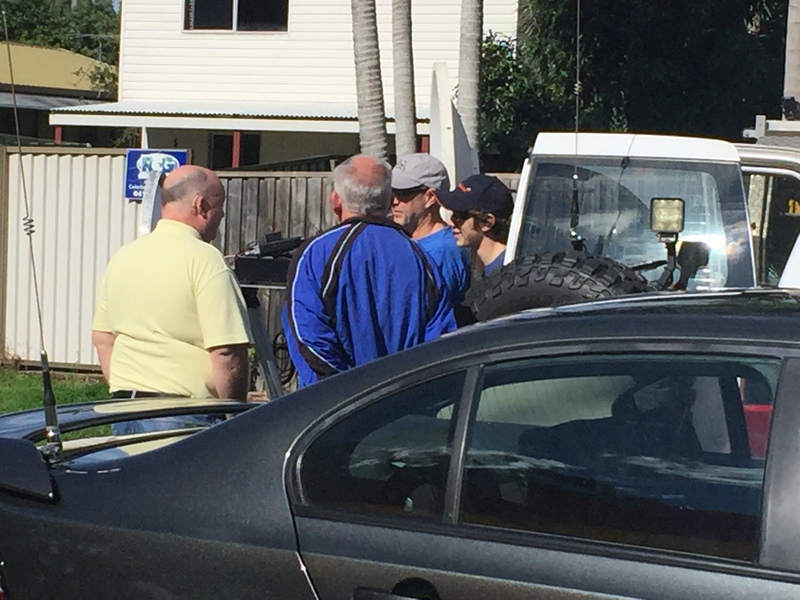 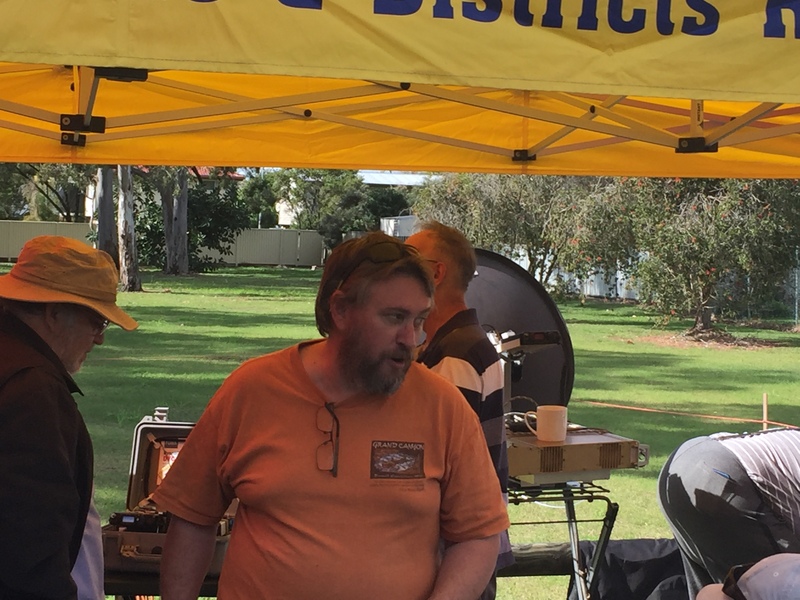 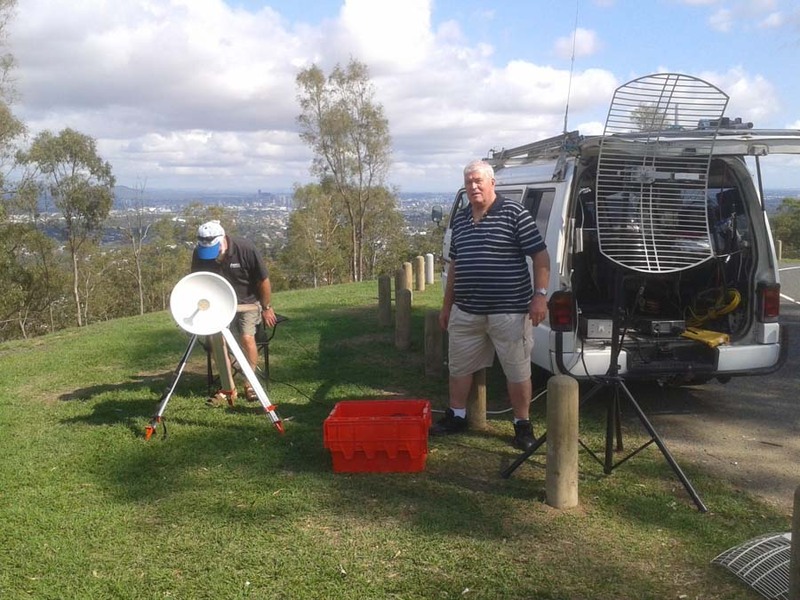 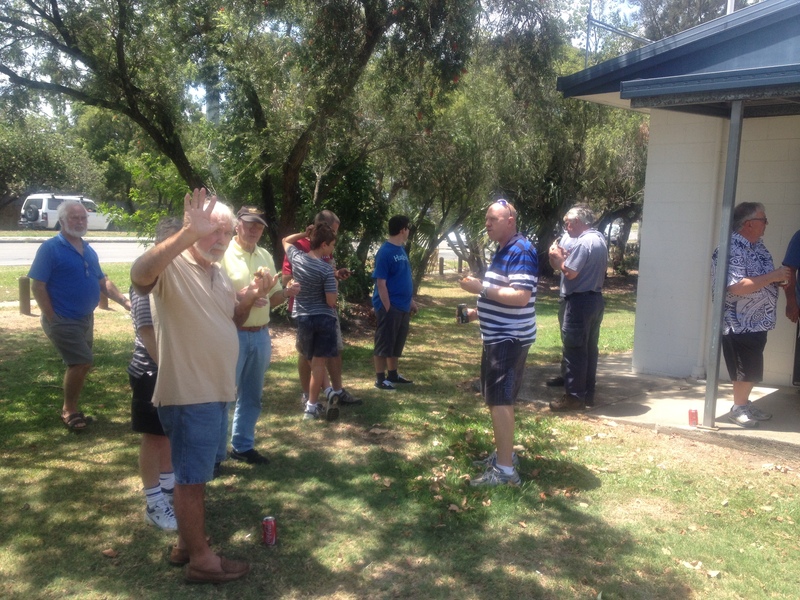 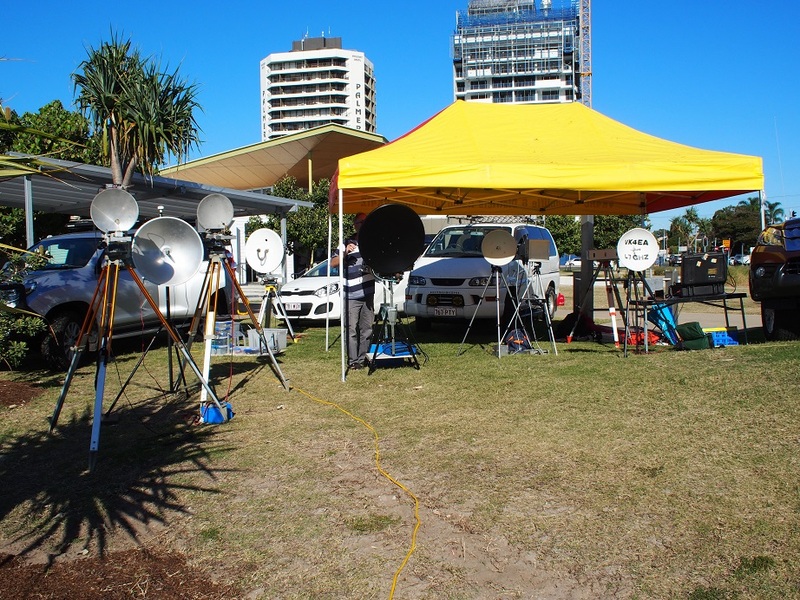 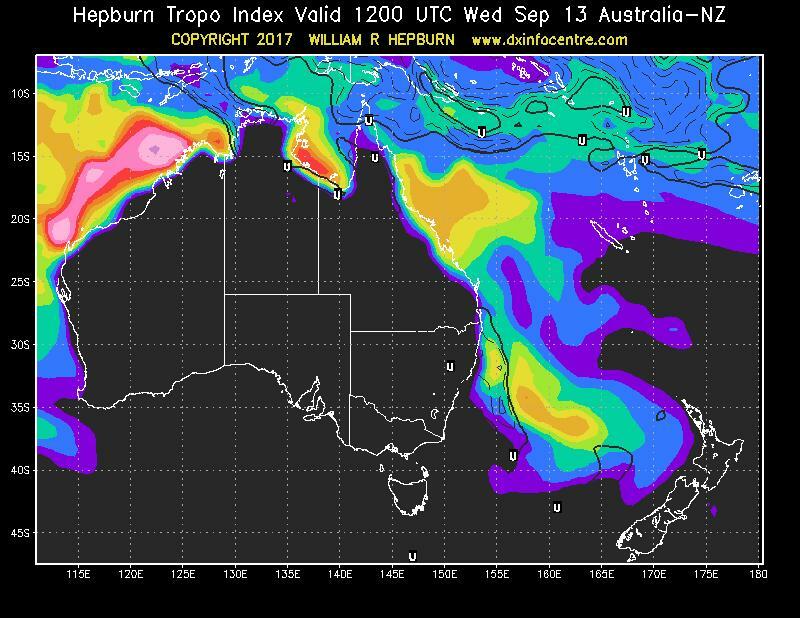 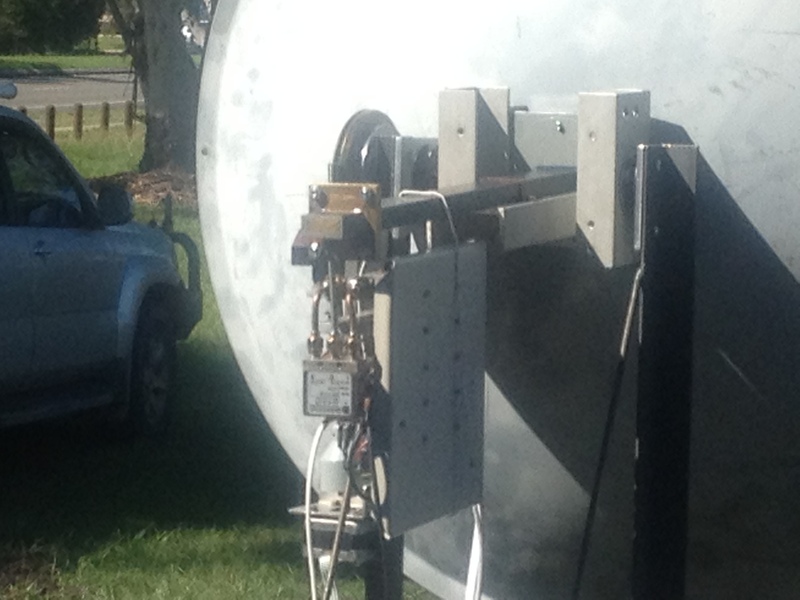 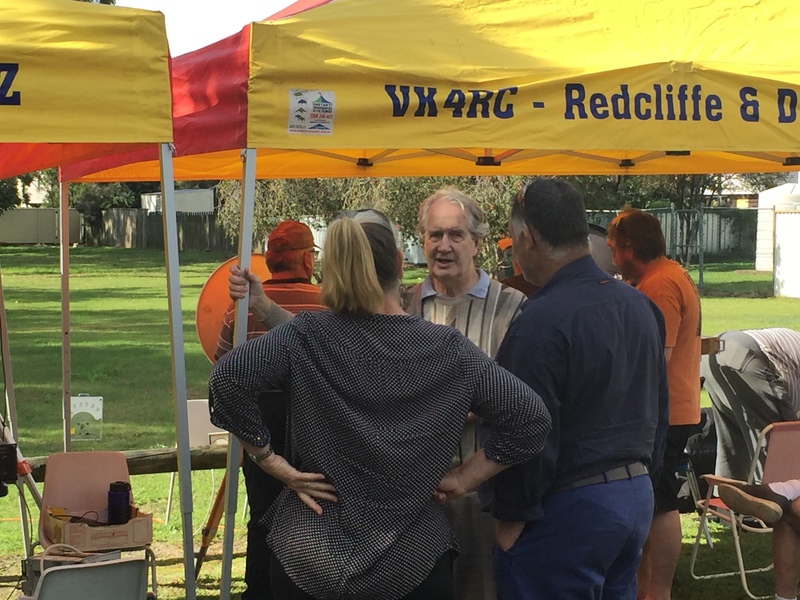 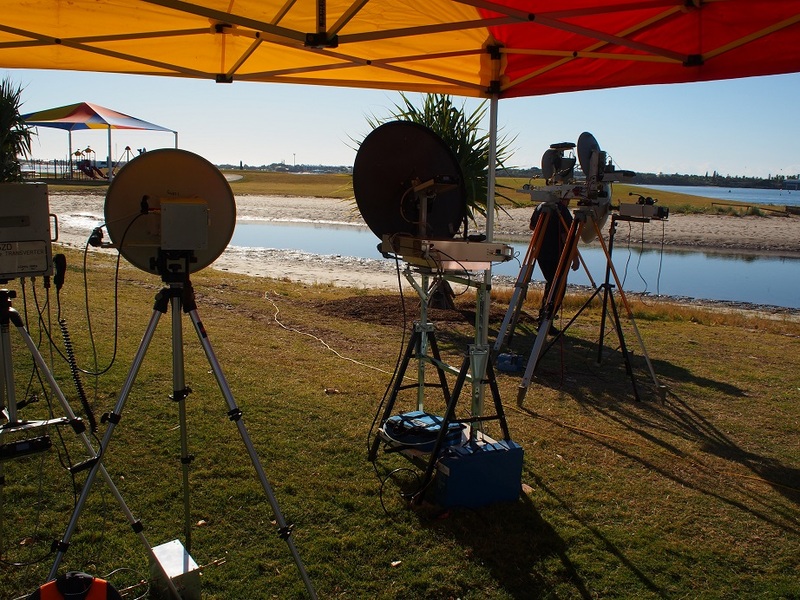 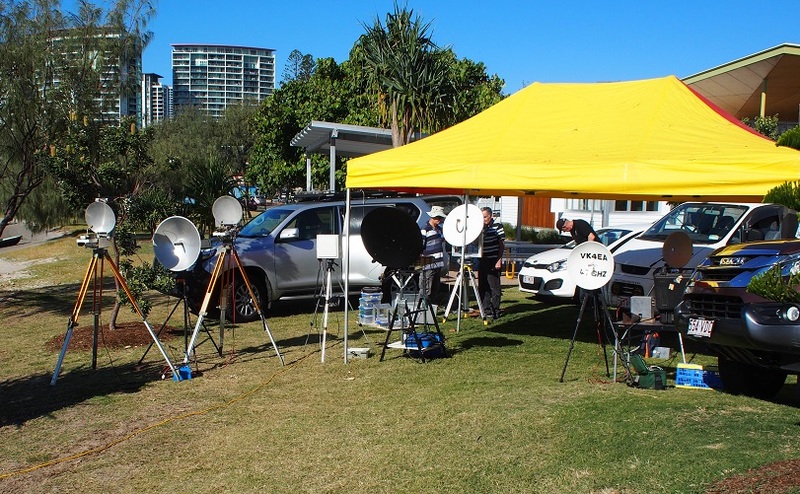 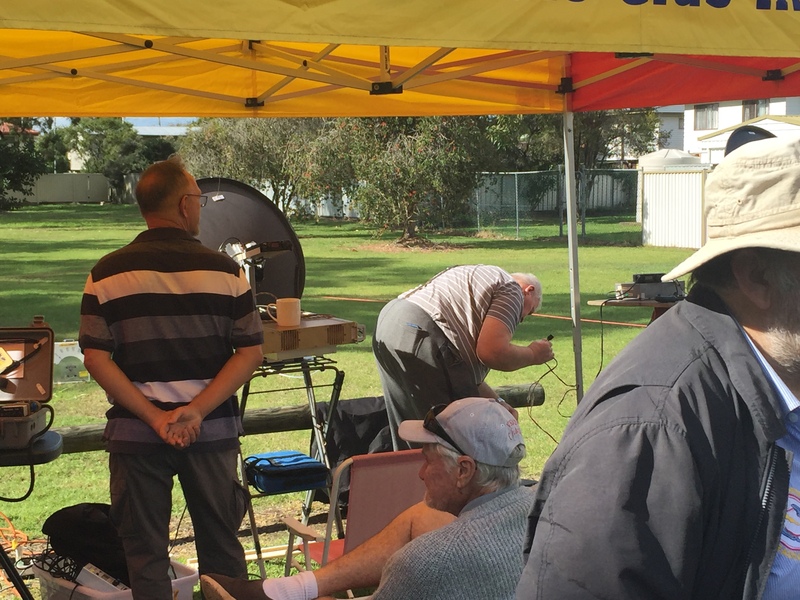 – Brisbane VHF Group Inc.
After several months of prior discussions with Rex VK7MO a series of terrestrial DX 10GHz paths were planned to coincide with his visit to Queensland for the WIA-AGM in May. 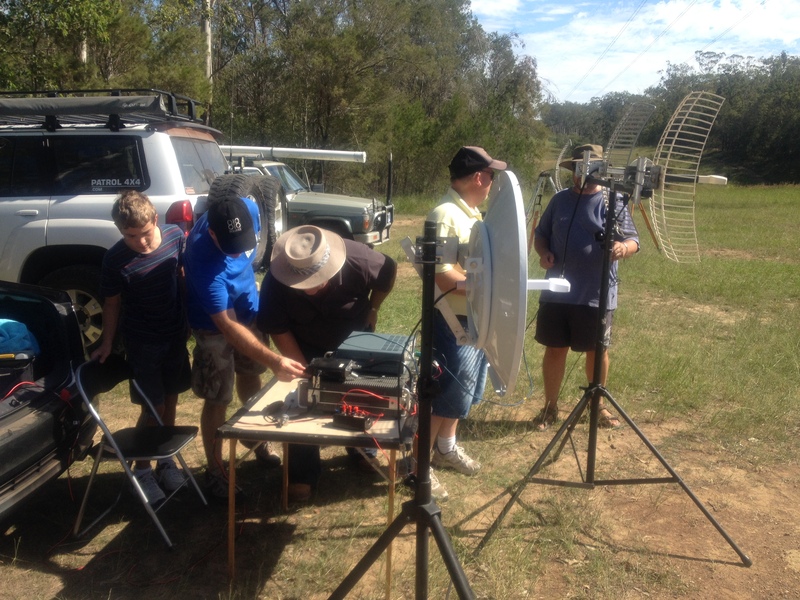 The initial intention was to attempt some long inland paths utilising digital Tropo-scatter and Aircraft-scatter propagation in order for the VK4s to gain experience and familiarity with these modes of communication. A path was proposed by Colin VK4MIL from an elevated west-facing site near Toowoomba (QG52xi) across to Ballon (QG31tx) a small community west of St George, which showed a promising path profile on Google Earth, over a distance in excess of 400km. 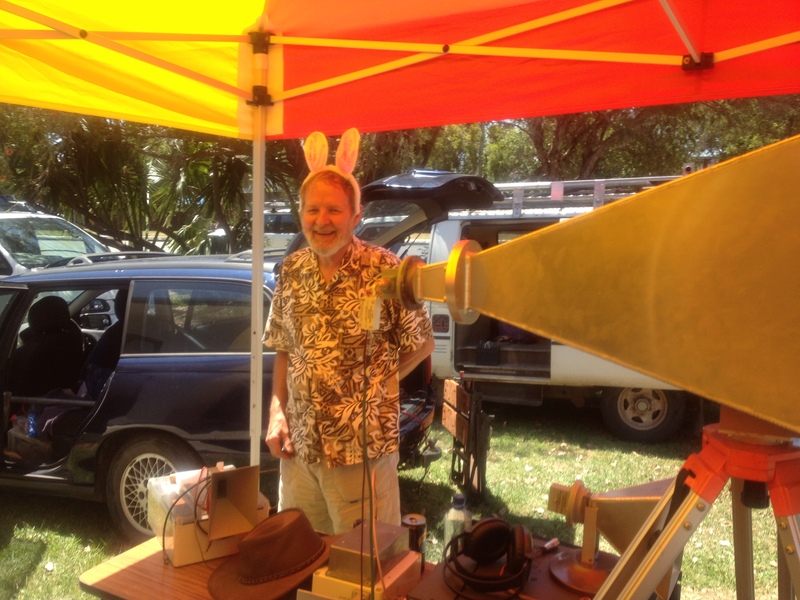 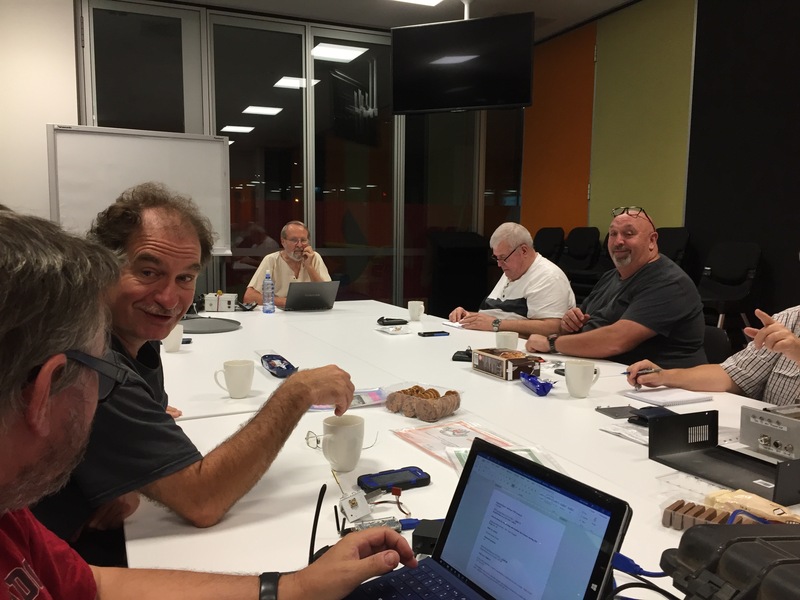 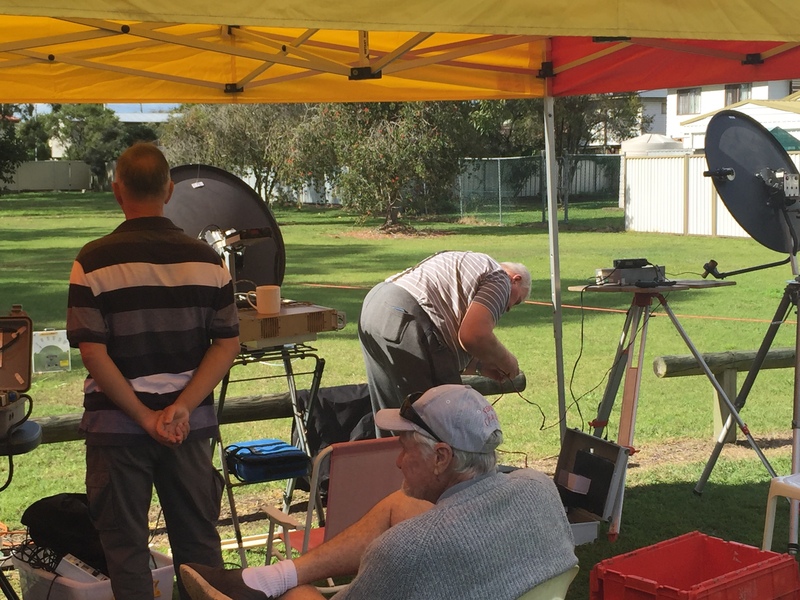 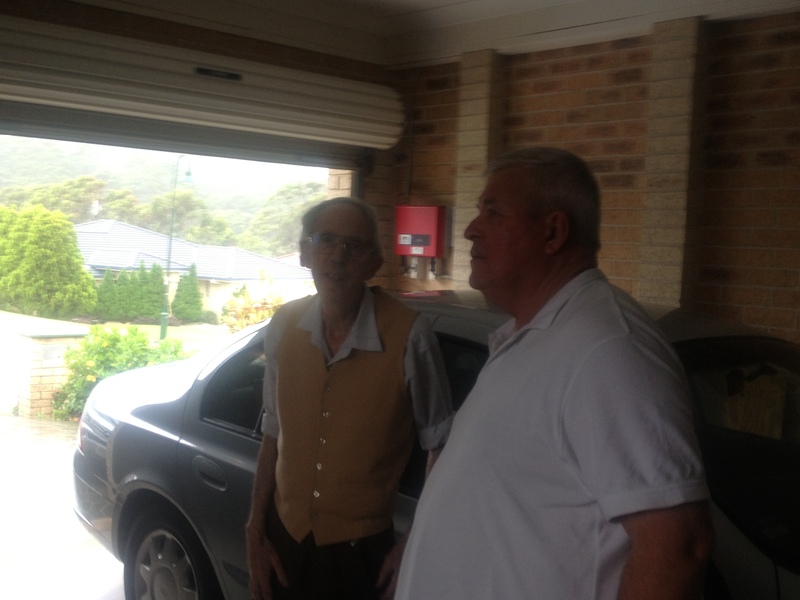 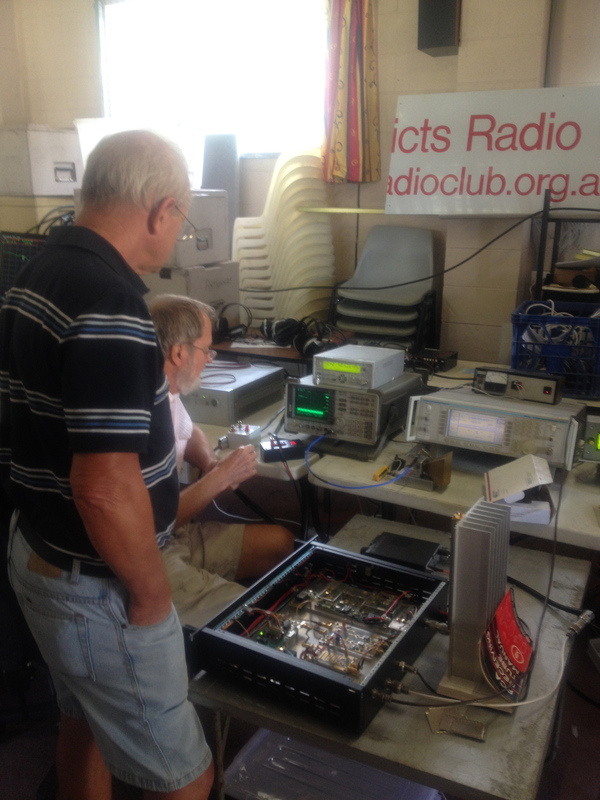 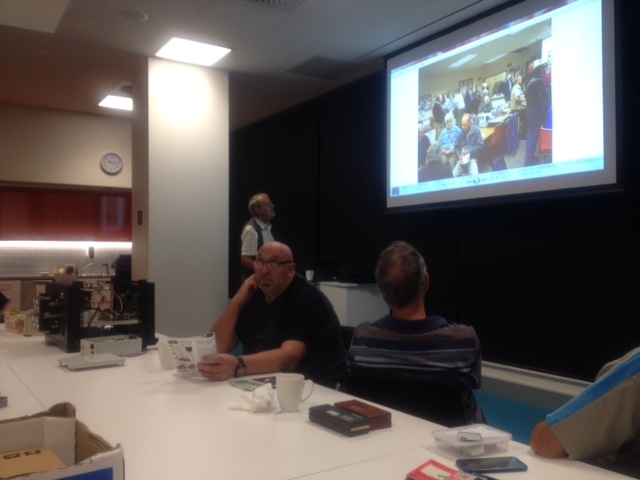 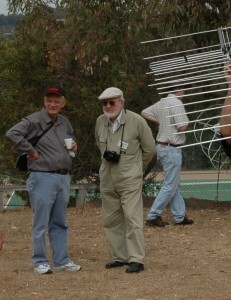 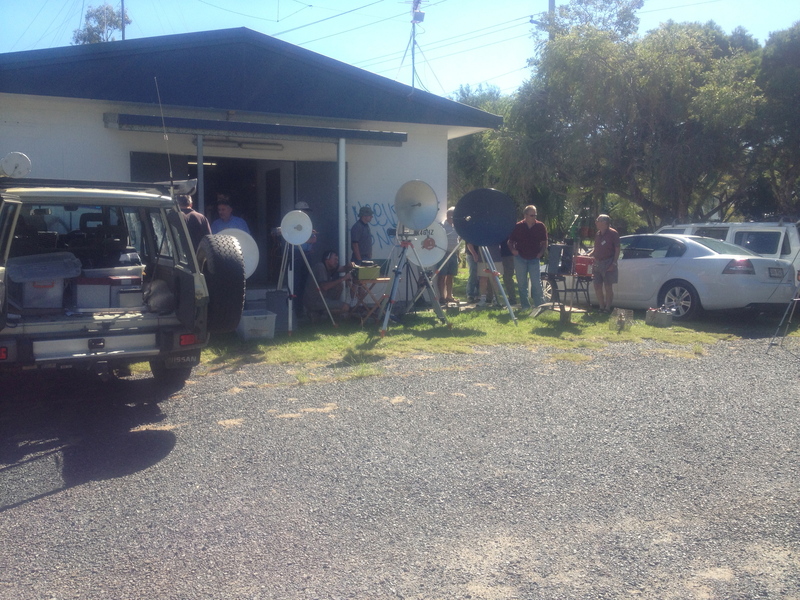 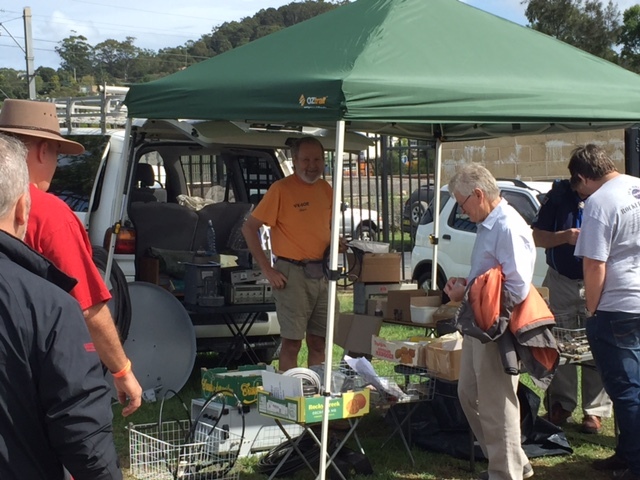 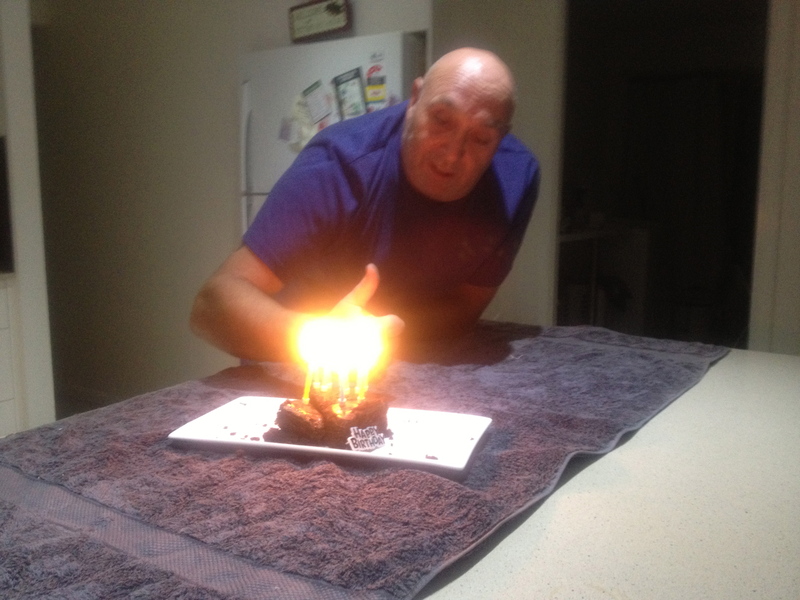 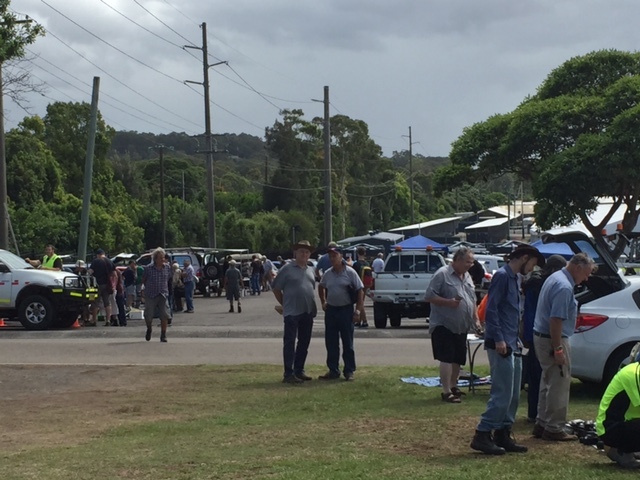 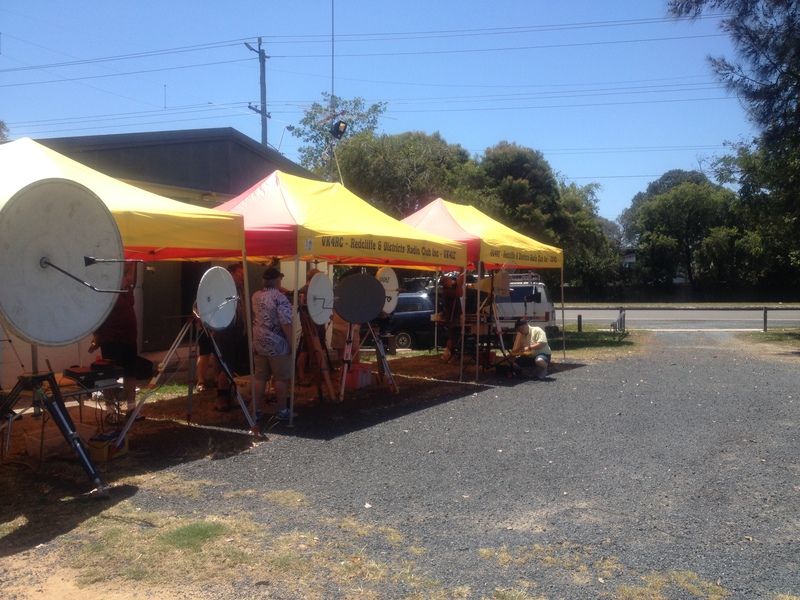 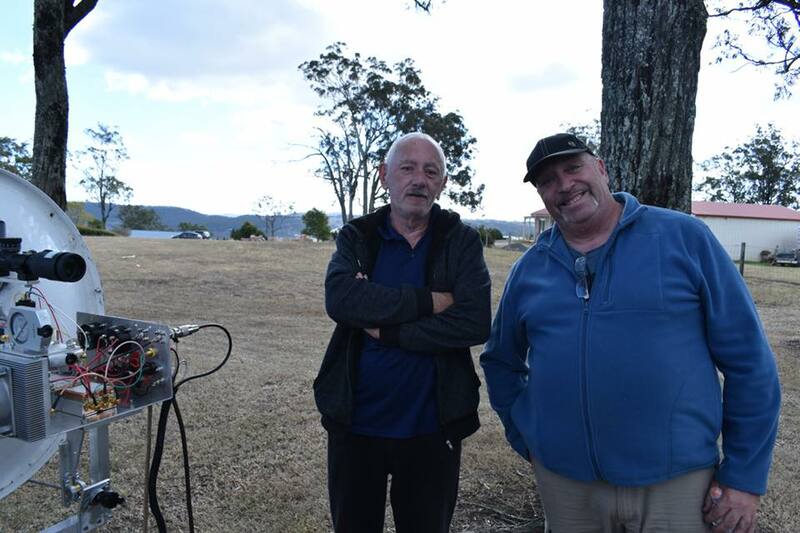 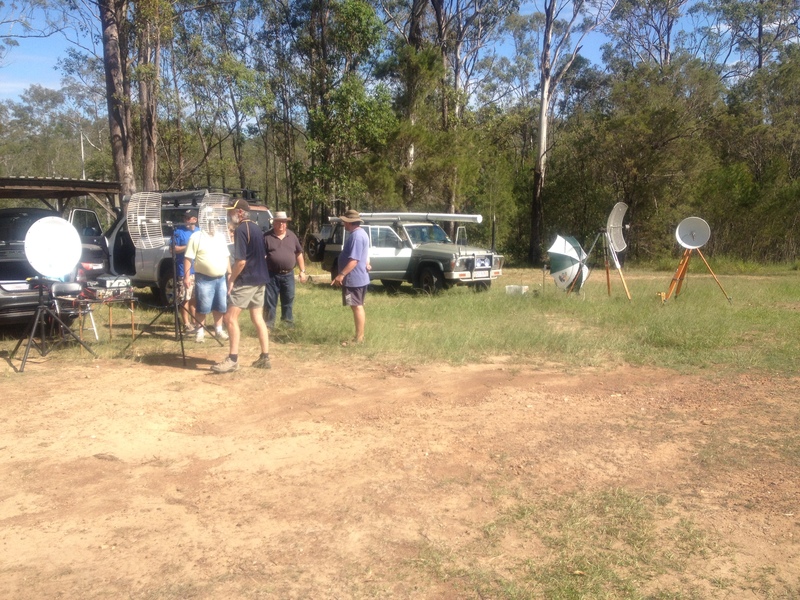 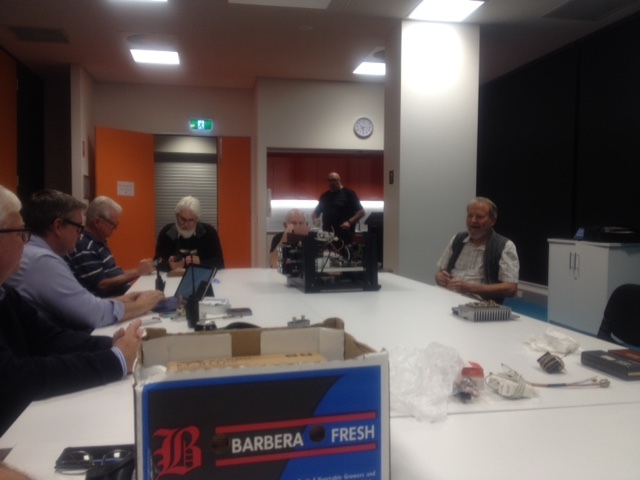 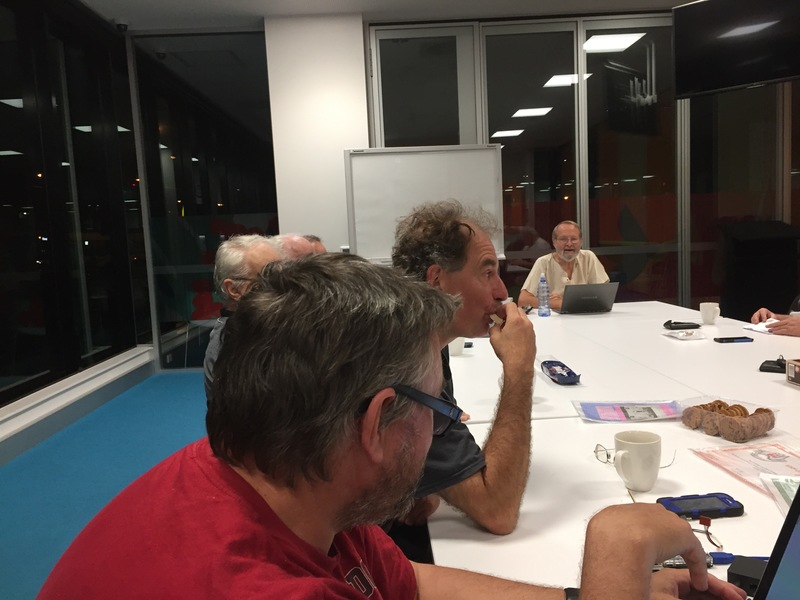 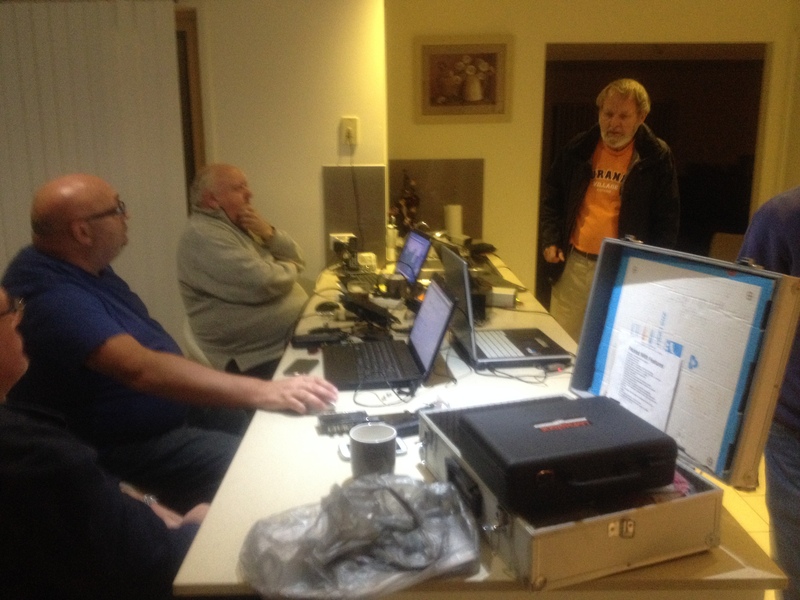 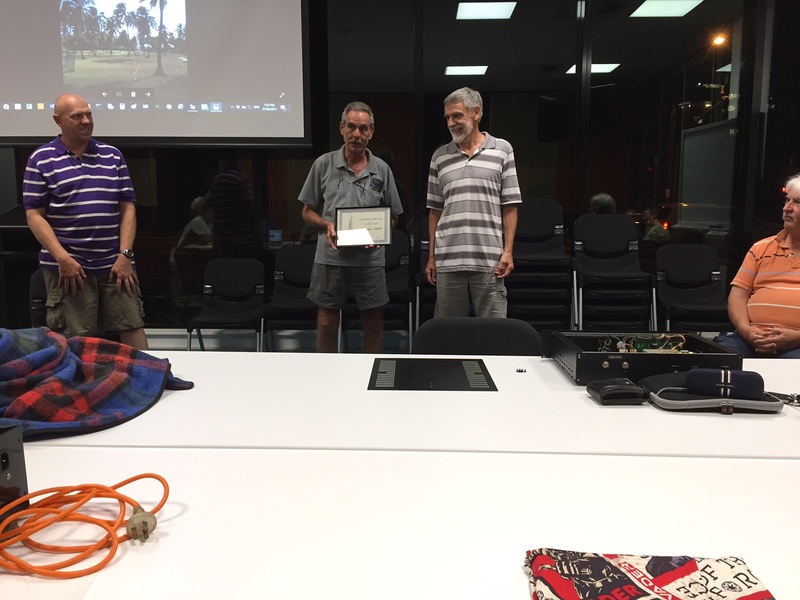 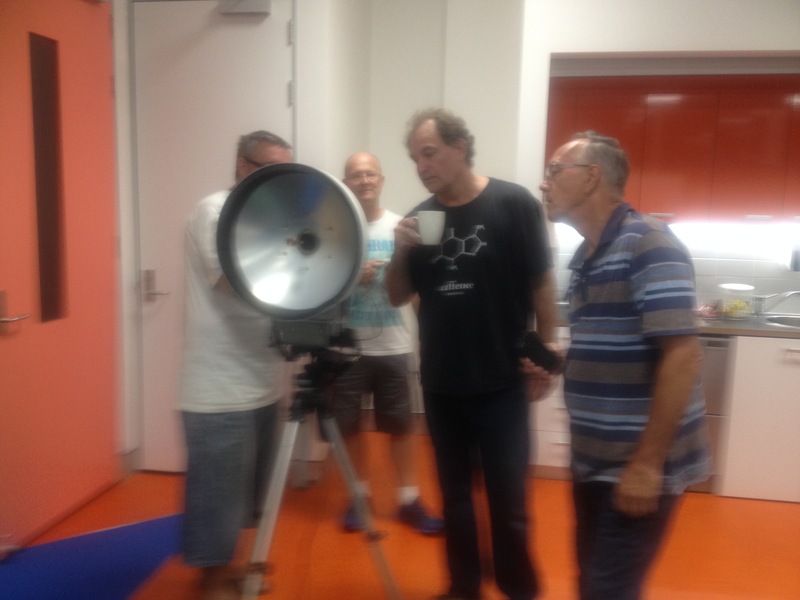 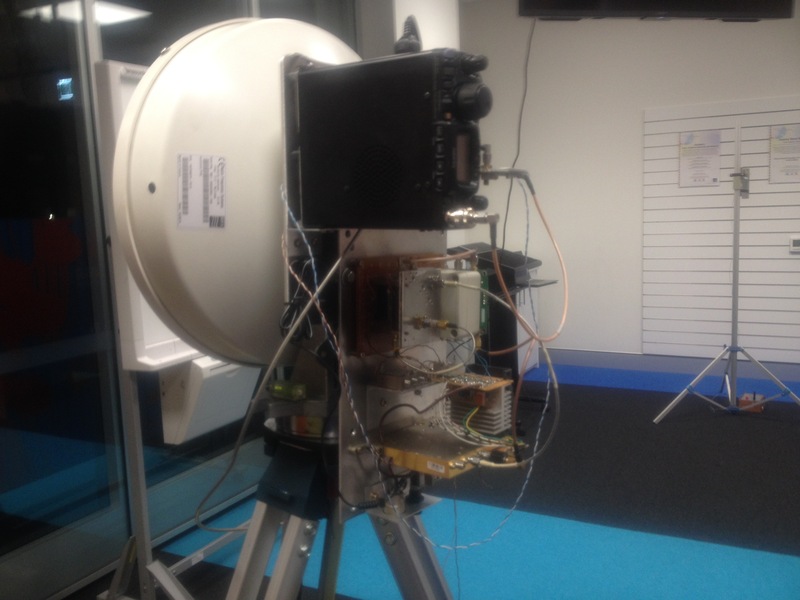 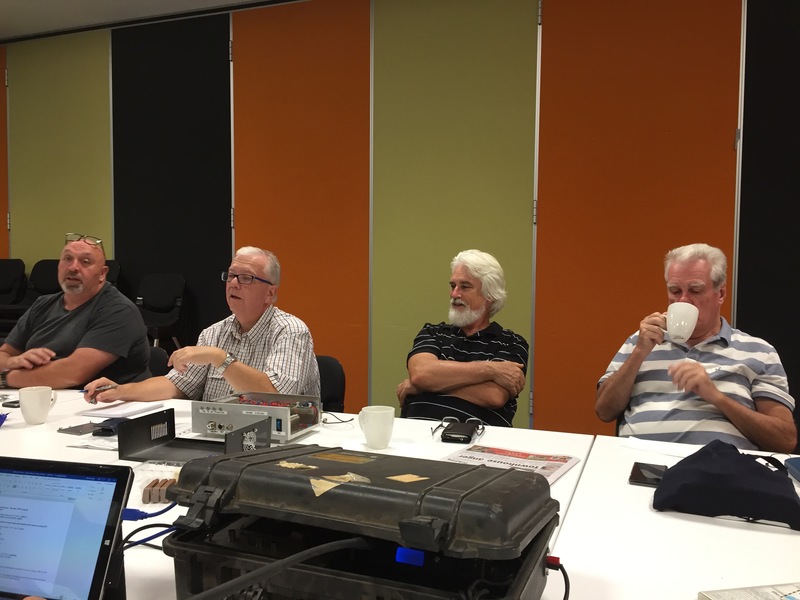 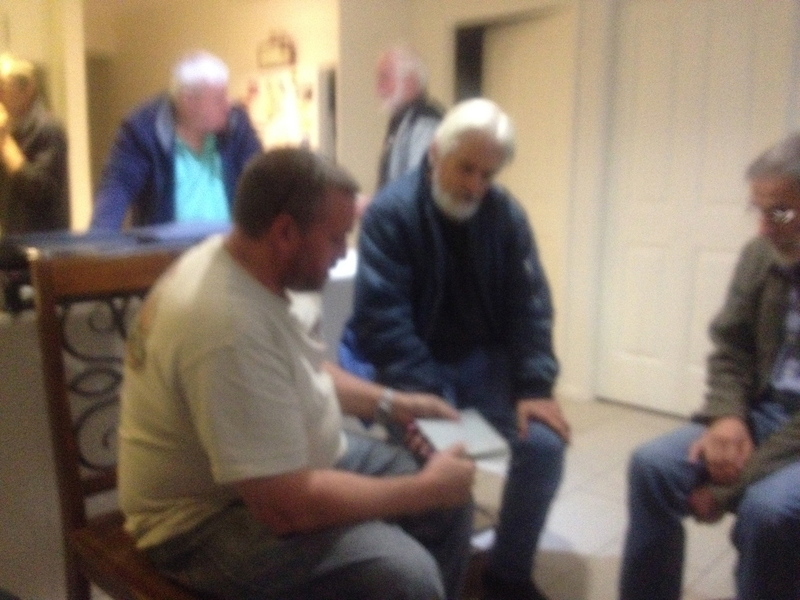 Having all met to finalise plans and make suitable interfaces between shared equipment, Colin VK4MIL and Kevin VK4UH set out from Brisbane to the Toowoomba site on Saturday 26th May, a 300km round trip. 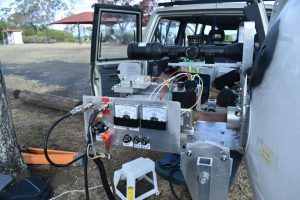 We were fully prepared to spend up to 48 hours in the field if necessary to achieve the elusive contact. 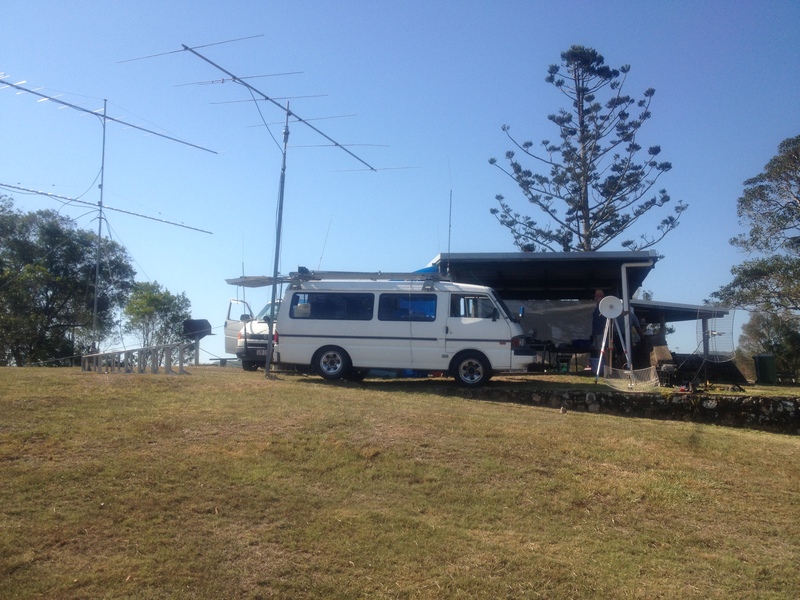 Rex VK7MO departed Brisbane on the previous evening for his 1200 km round trip to Ballon via St George. 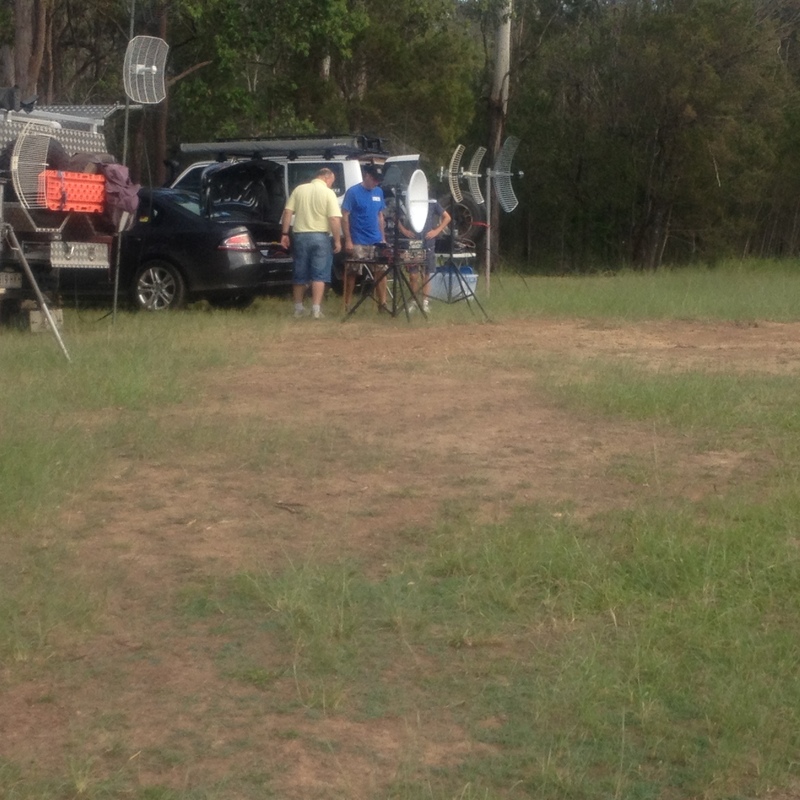 As expected there was no mobile phone or internet coverage available at the proposed Ballon location. 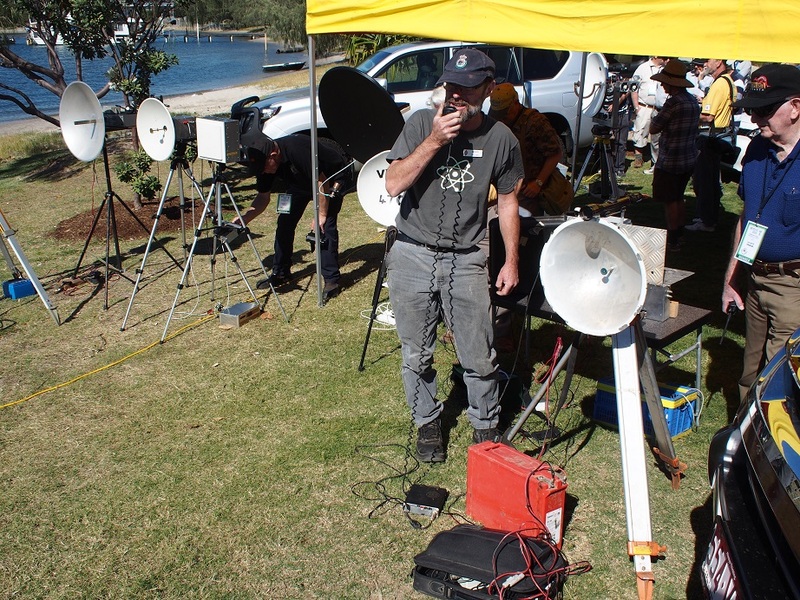 Plans were in place however to set up and commence operation at a pre-arranged time, Transmission period and operating frequency, initially using single-tone QRA64D digital mode. 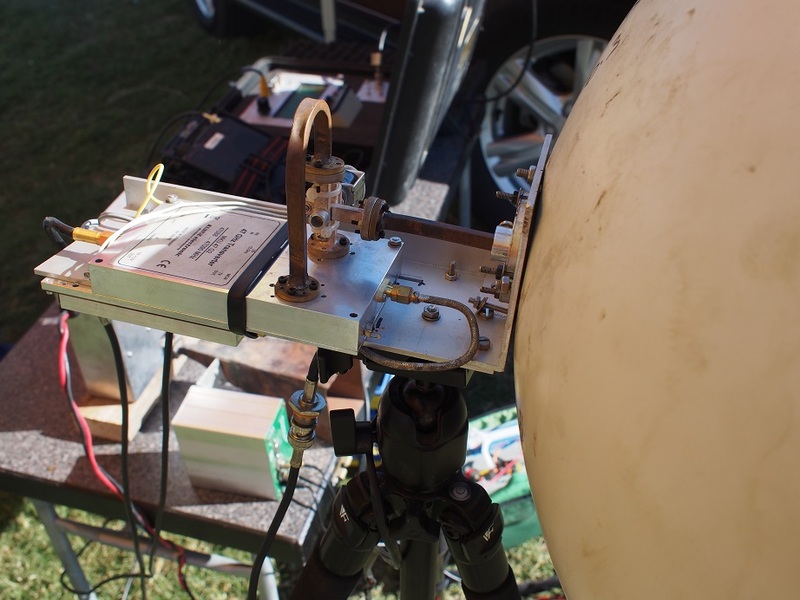 It was uncertain if even the digital contact would be possible over the proposed path however if the single tone was received then an attempt would be made to complete using QRA64D and then, if that was successful, to try for an SSB contact. 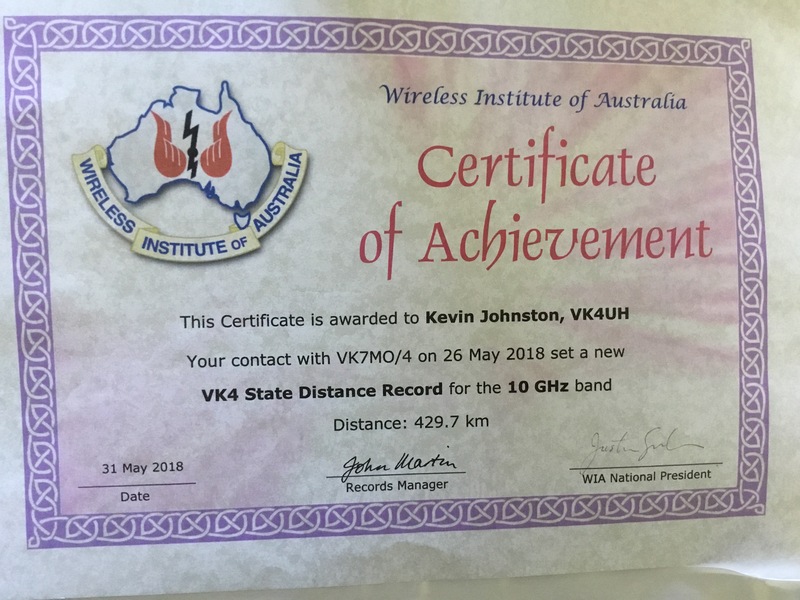 If this too was achievable then this path would exceed the existing Queensland 10GHz distance record which had remained unchallenged since 2004. 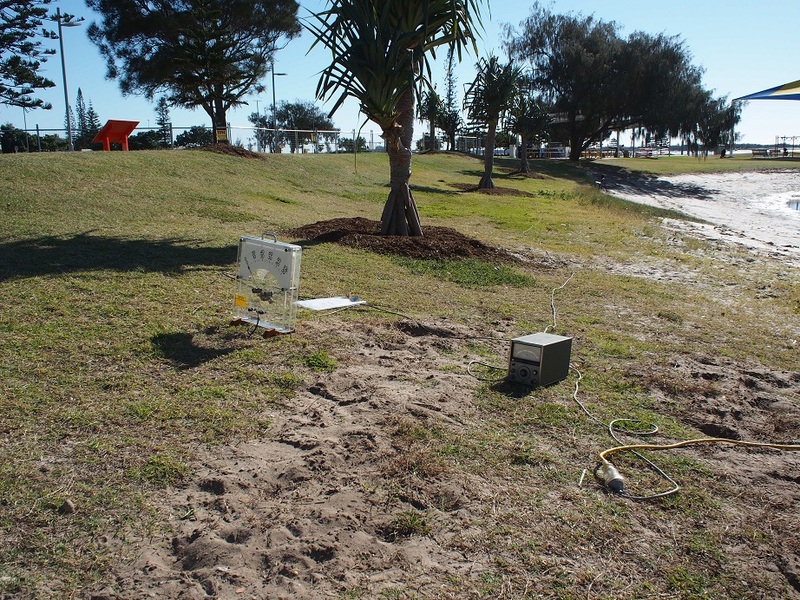 On arrival Rex found that his proposed site was in a depression in the local landscape and locally obstructed. 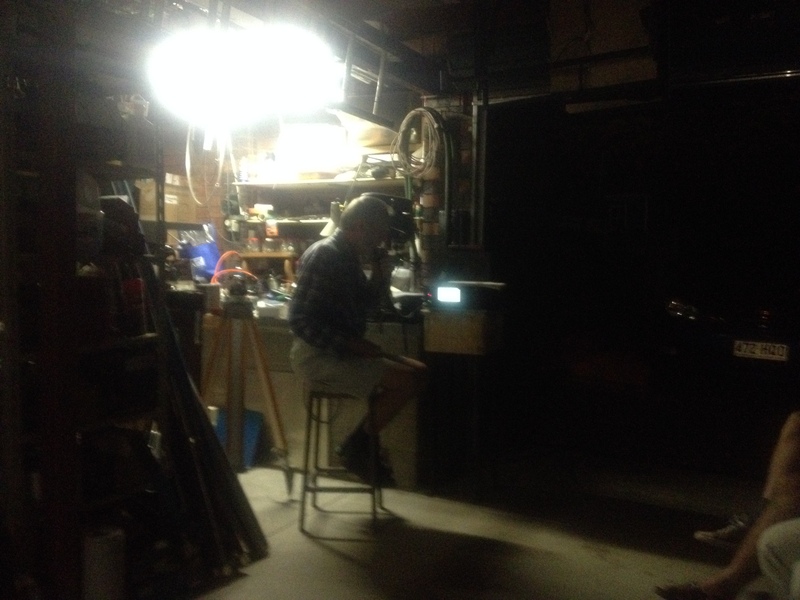 Having no mobile phone coverage, he then drove back to St George township where further discussions were made from a roadside payphone. 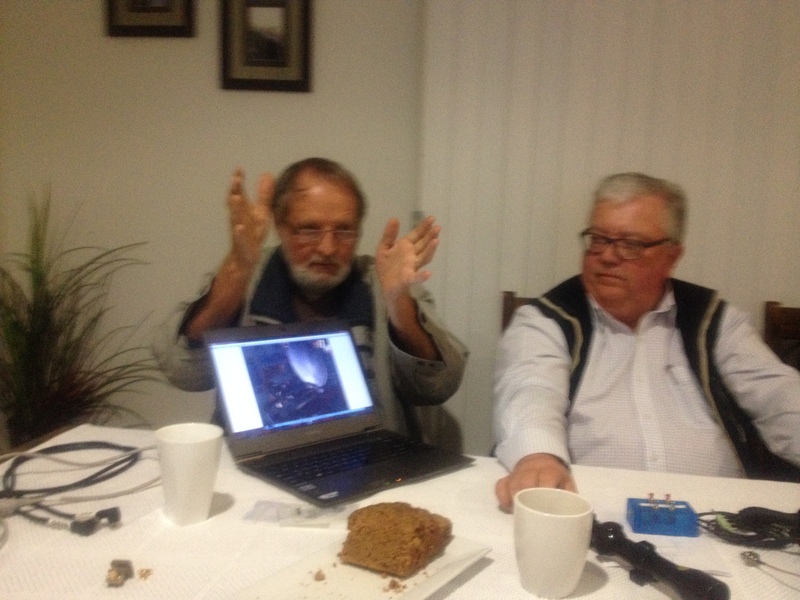 It was agreed to try an alternative site close to the oil-pipeline which had some elevation and had borderline mobile phone coverage. 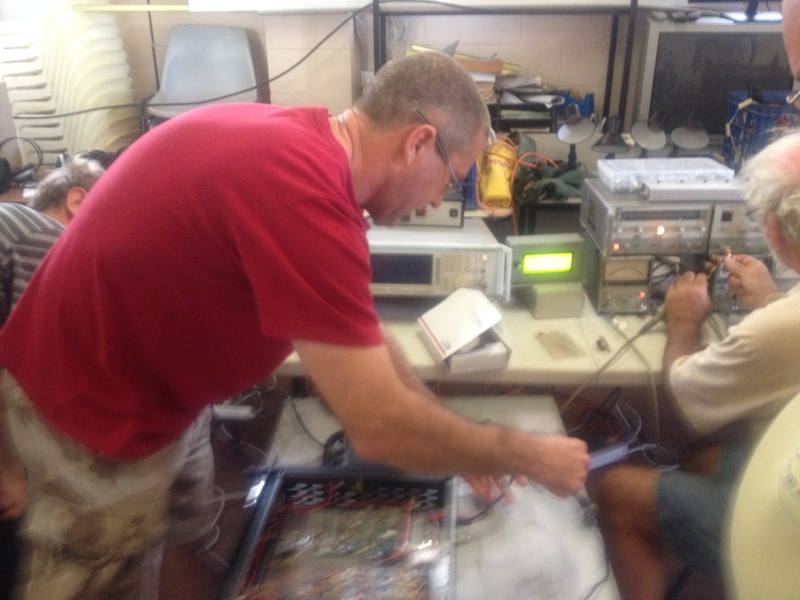 Once set up VK4UH/p started transmitting the agreed 1000Hz single-tone identifier in the second period. 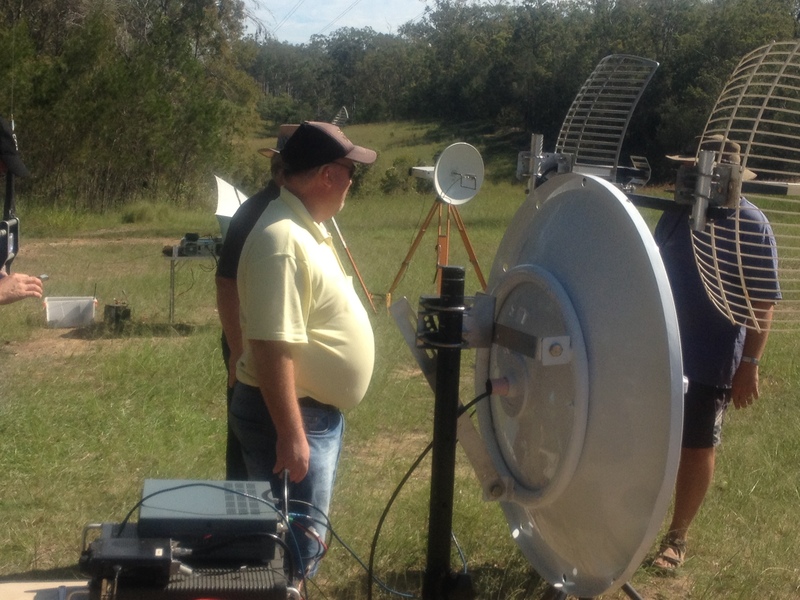 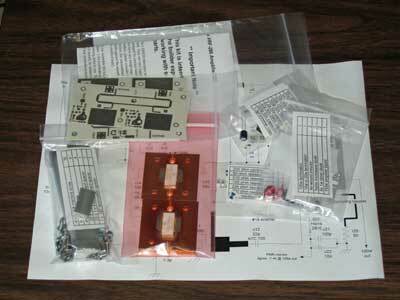 It was expected to be a difficult path with weak signals. 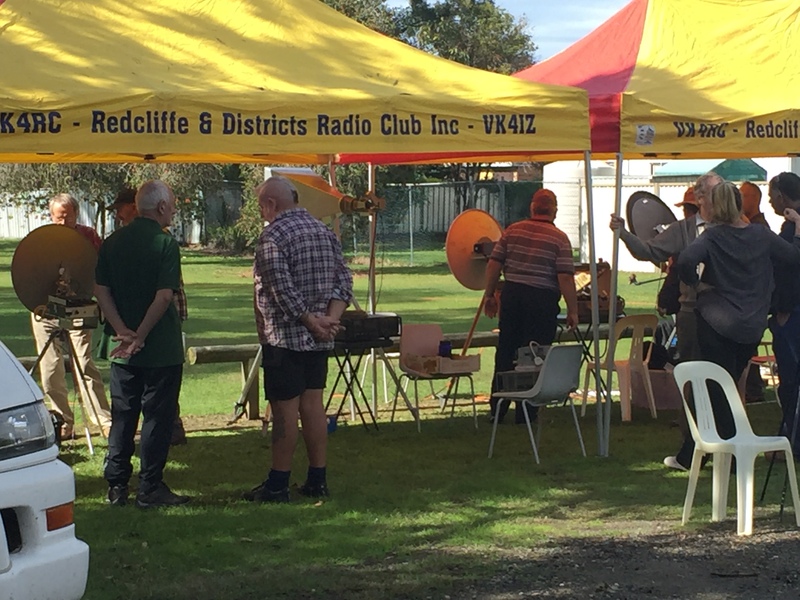 The single-tone carrier was immediately received at S1 level at VK7MO/p and was clearly audible at loudspeaker strength. 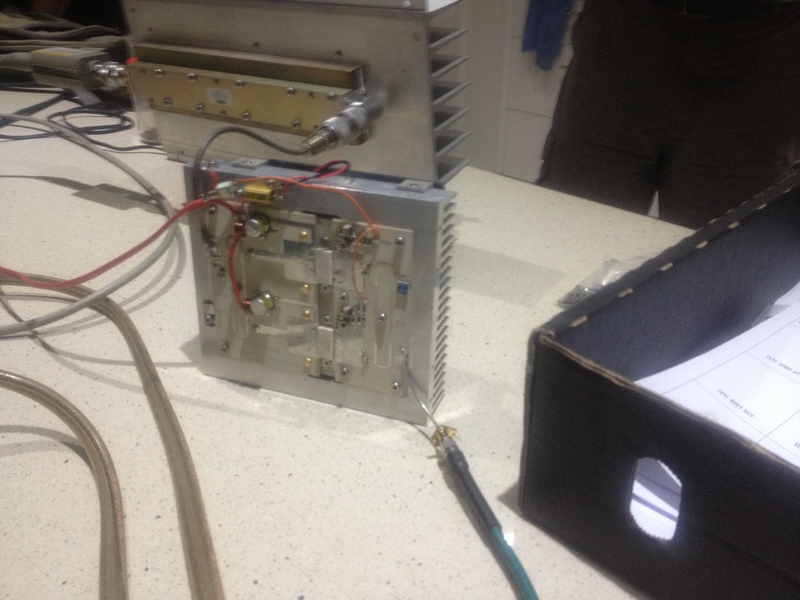 Nothing however was visible on Rex’s waterfall display and his transmitter “declined the invitation to transmit”. 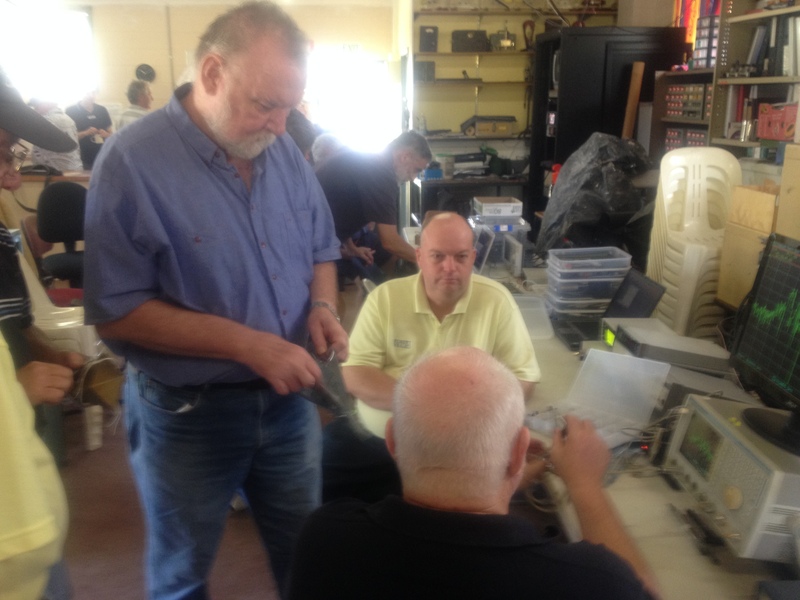 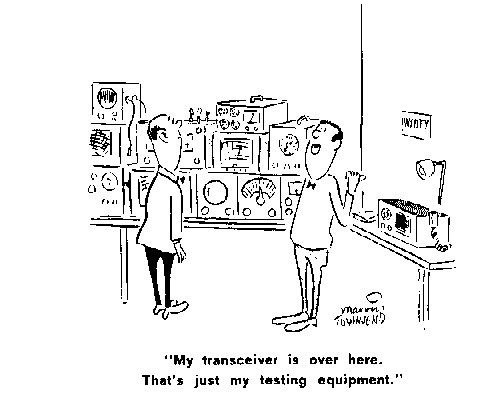 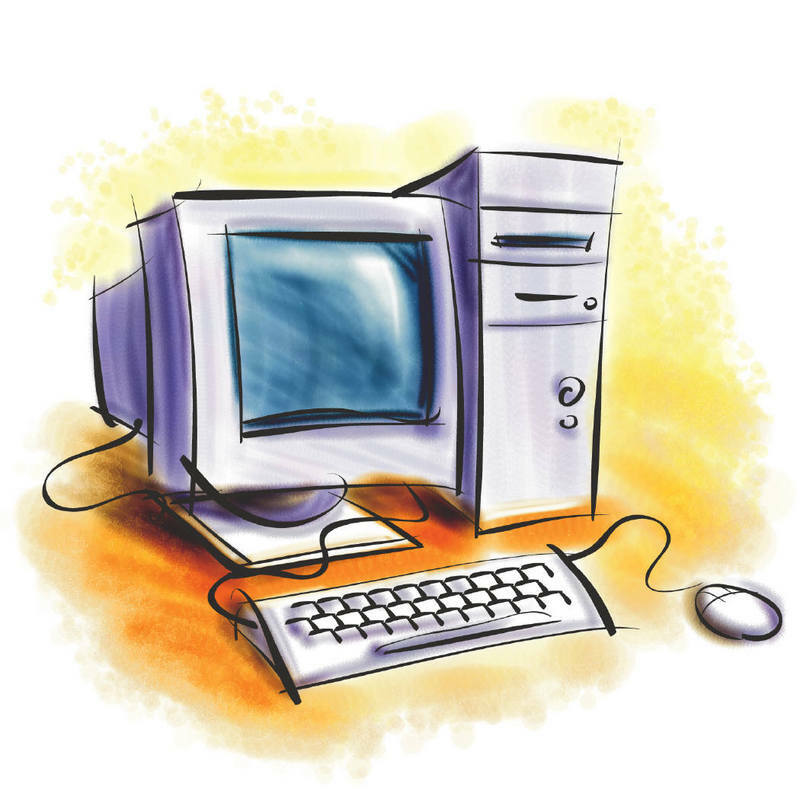 After a computer reboot a clear receive trace was seen on WSJTx waterfall and the transmitter did switch over to transmit in its period but regrettably no tone was being transmitted. 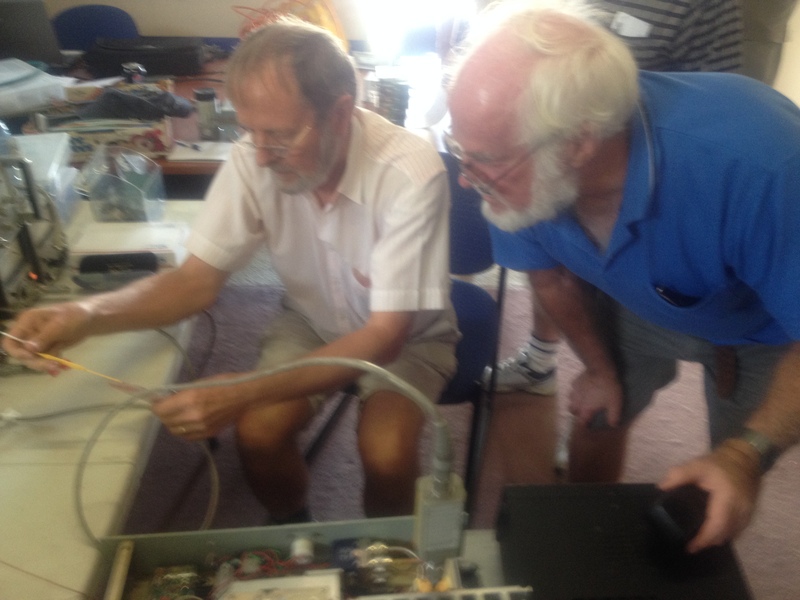 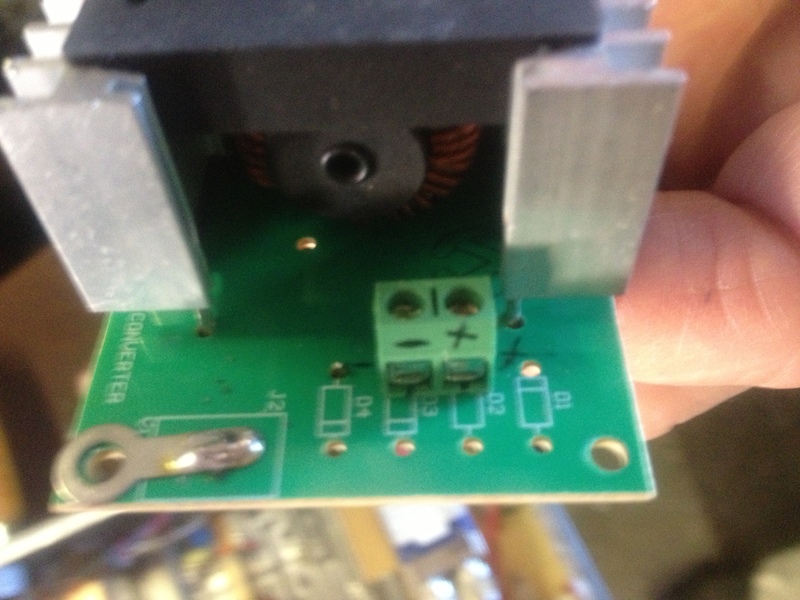 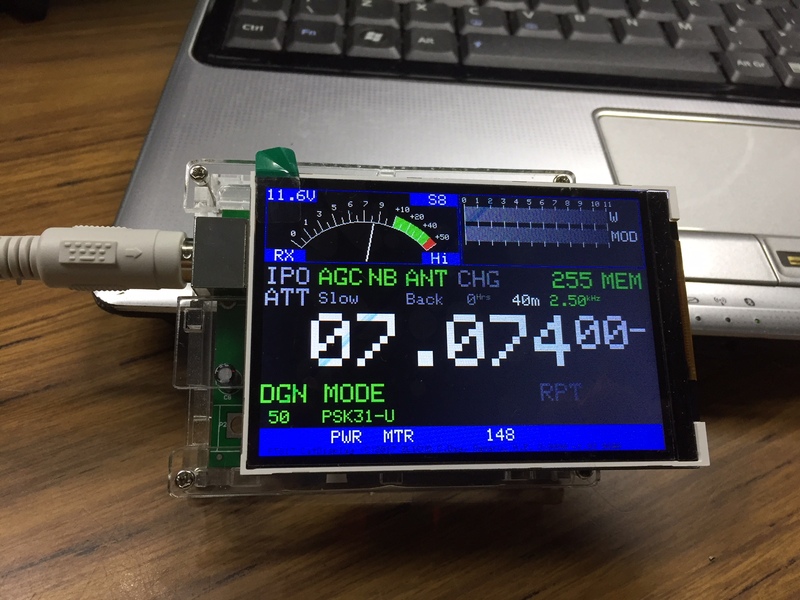 Unable to identify the problem with the digital interfacing on-site, as a last resort, Rex switched modes and called VK4UH/p on SSB. 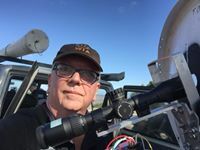 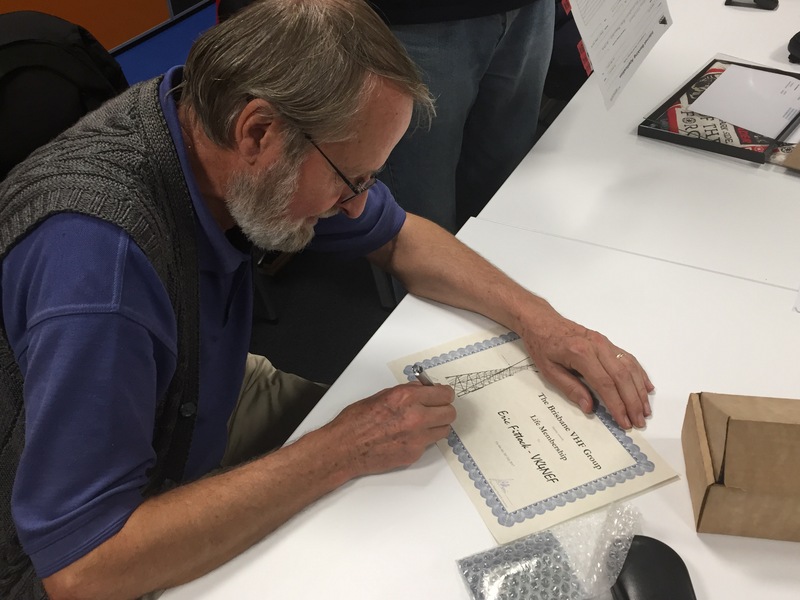 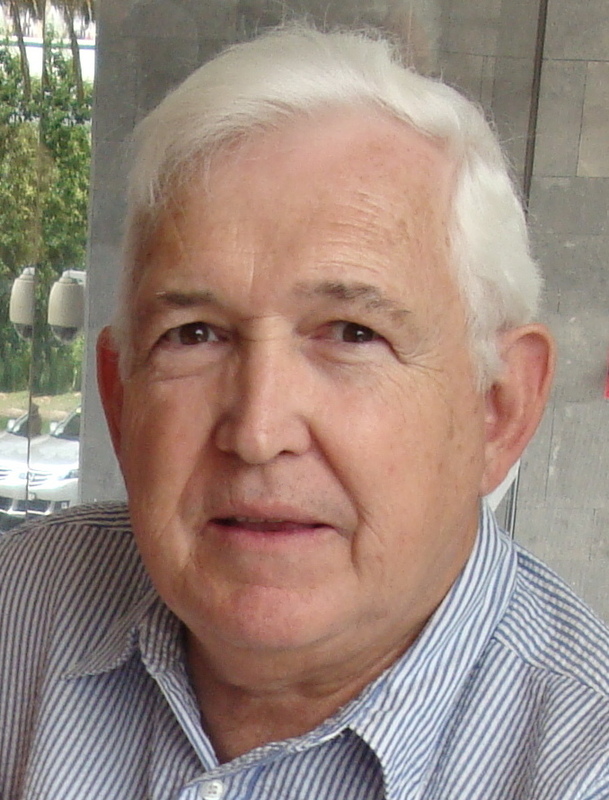 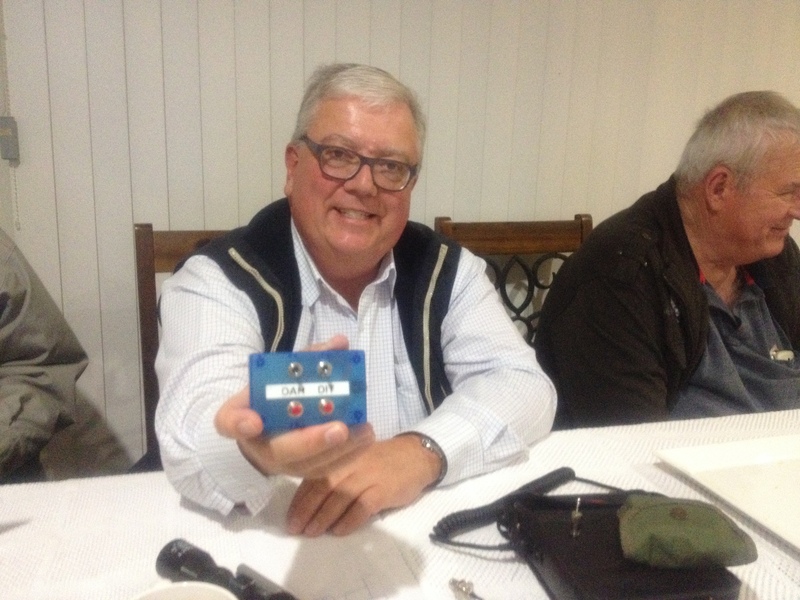 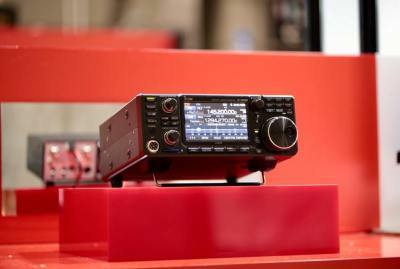 The call was received immediately and 5/1 reports were exchanged in both directions, completing a QSO and breaking the State Record in a single attempt. 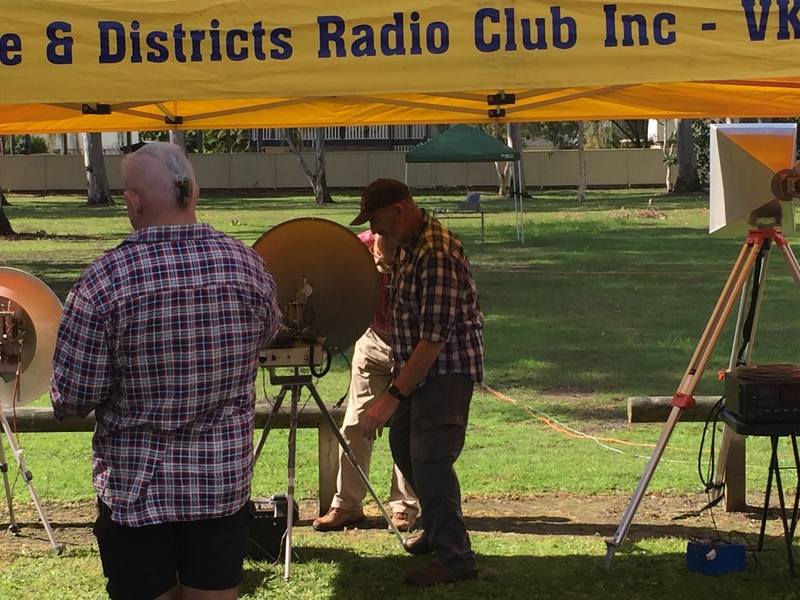 The VK4UH/p station in QG52xi, at an elevation of 730m asl, ran 60 watts to a 600mm prime focus dish, the VK7MO/p station in QG31tx, at 192m asl, was running 90 watts to a 1200mm prime focus dish. 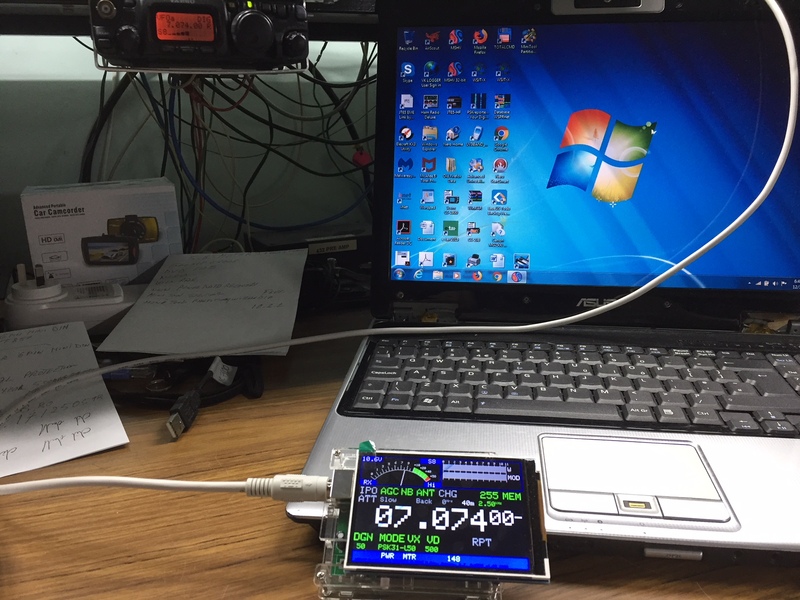 Both stations were GPS locked. 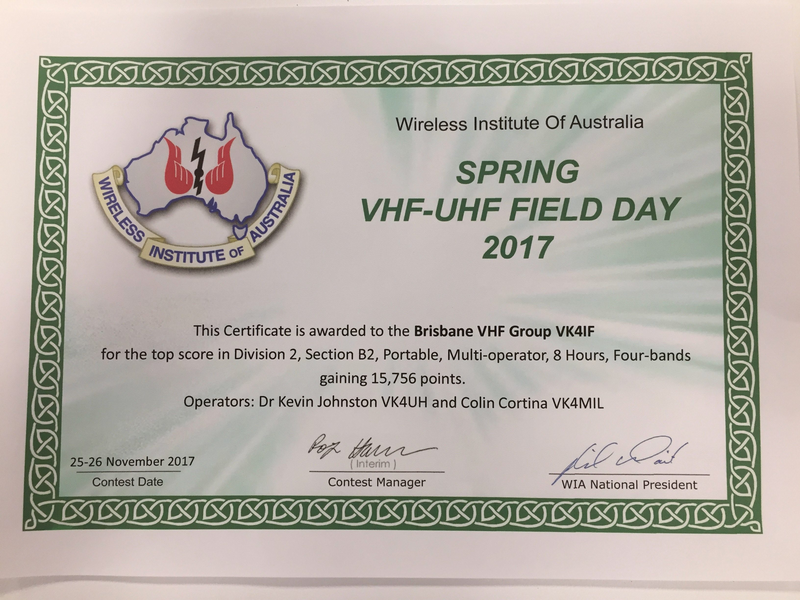 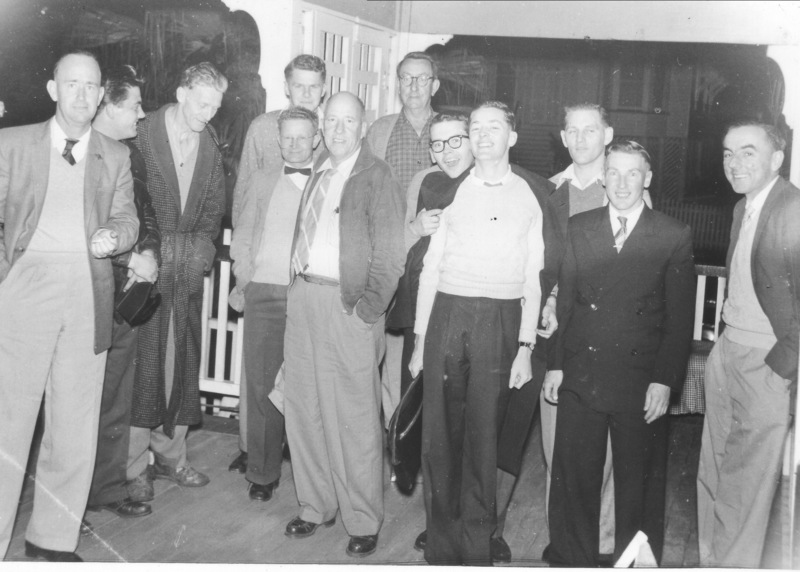 One of the challenges faced by the “greenhorns” VK4UH and VK4MIL was that they had never before used anything other than corrected magnetic compass bearings for dish alignment, and then relying on fine adjustment once signals were acquired. 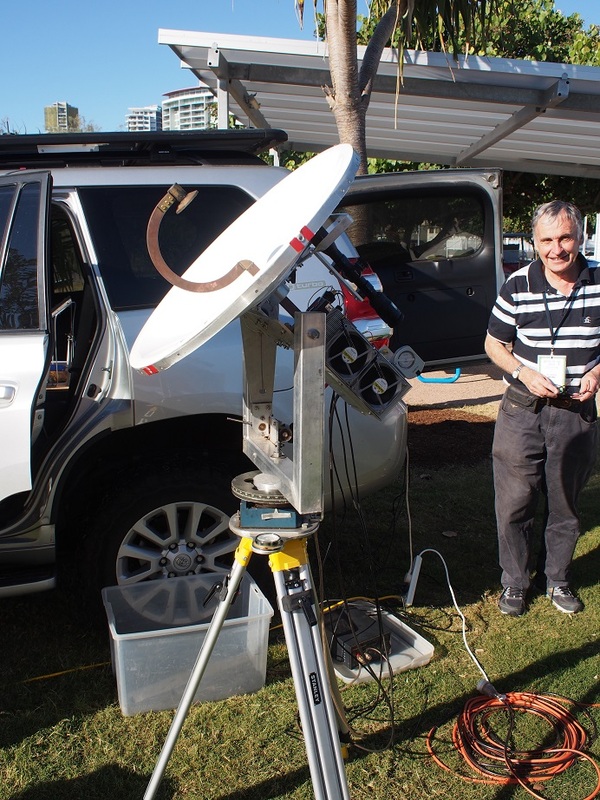 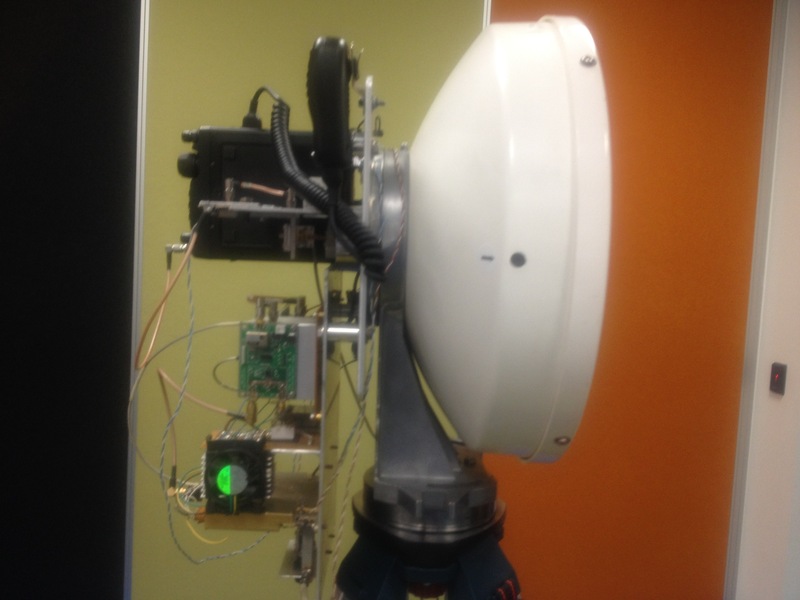 This was to be their first “live” attempt, in the field, at using visually sighted reference points and google-mapping to calibrate their azimuth for once-only dish aiming. 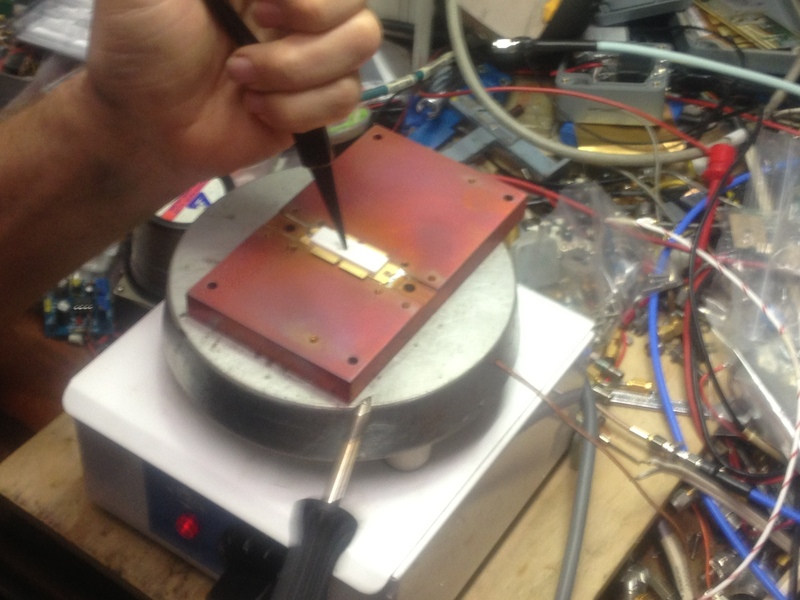 It was very satisfying to see this technique actually work. 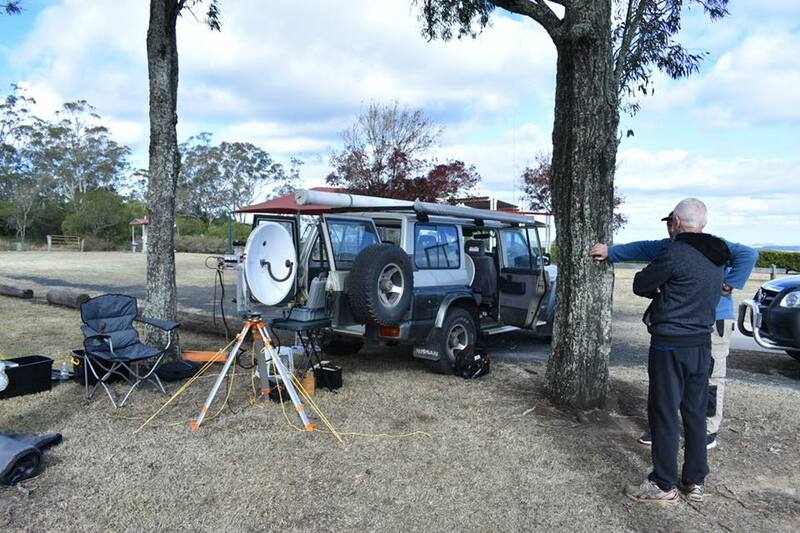 The final path distance was calculated at 429.70km, exceeding the previous state record by almost 10% (48km). 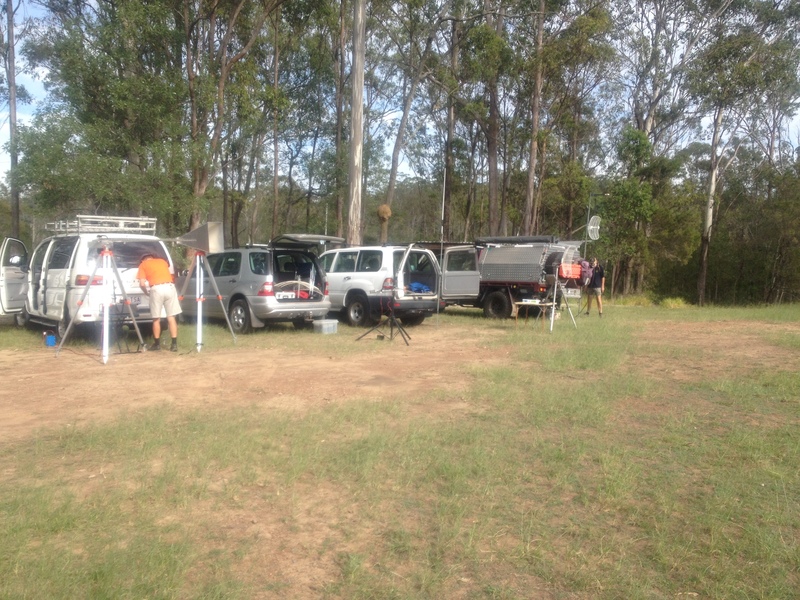 Total driving distances by both vehicles, something in excess of 2000km to make the contact.